As the nursery rhyme goes, that little blue whale with the little blue tale captured the heart of this little sailor. What better way to celebrate his 1st birthday bash than this theme? Filled with red, blue and white elements, every corner of Freyden’s party looks totally fun. From the light house to the buoy, Styled by Deiz even threw in some safety ring and anchor to complete the set. 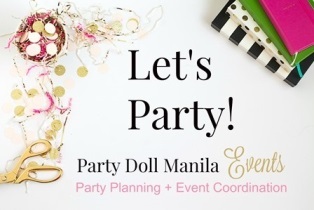 Together with Party Doll Manila Events, both creative teams made this adventure possible for everyone to enjoy. Well let’s take a quick peek on Freyden’s whale-tastic adventure wonderfully captured by Rio Jones Photography. Welcome aboard! Let’s sea-lebrate! Every guest was welcomed by this adorable entrance setup. Those ship wheels and anchors on the side seemed so real they gave the visitors the nautical feel. Ceiling drapes and paper lanterns in blue, red and white made it possible to have a cruise ship ambiance inside the clubhouse. Freyden’s stage set-up looks fantastic! From the smallest to the biggest detail, there’s every bit of a nautical theme through and through. Check out the life-sized sailor right in the middle, how cute is he? The anchor along with the prearranged white and light blue flowers made their table setup look elegant. Not to mention the cute and eye-catching blue and white lighthouse to boot. Clean and simple, just the way I like it. A 3 layer fondant cake designed in nautical colors, how lovely is Freyden’s 1st birthday cake? From the kitchen of Sweet Creations by Mums, be sure to check out the extra details they put to make it even more special. And the best area of every party, the dessert tablescape! Tempting and jaw dropping, the combination of colors, shapes and designs of each dessert would make you think twice if you would want to eat them or just keep staring at them. I’d definitely grab a piece or two of these whale cakepops that come complete with a sailor hat! I’m sure everyone enjoyed putting their best “say cheeeeese” smile as they happily took photos here at Freyden’s wonderfully styled photo wall. As a way of saying “Thank you!” to friends who joined his first birthday bash, our little sailors received a blue nautical bag all packed with more goodies. I didn’t want to end the post without a special fambam snap. To Freyden, let your dreams set sail and may your dreams all come true.